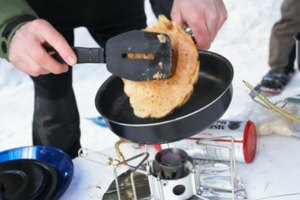 Pancakes can be prepared a variety of ways, but griddle cooking has distinct advantages. 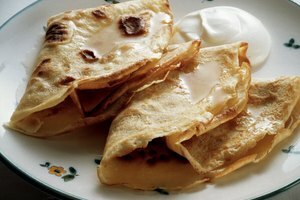 It allows the pancakes to be cooked without additional oil, if desired, and a much larger batch can be made at once in comparison to skillet cooking. A thin spatula is the only utensil you'll need. 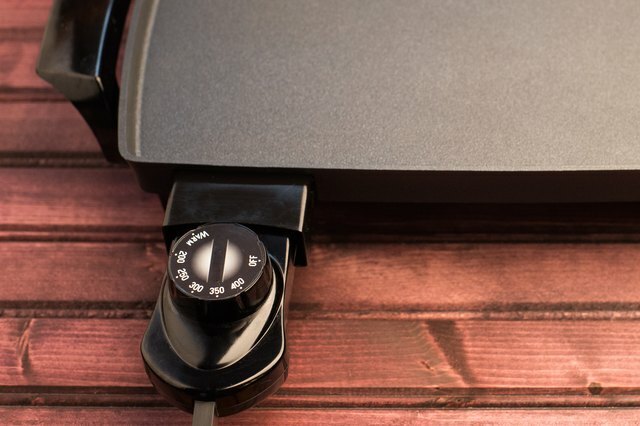 Your griddle may have a temperature dial or it may have choices of low, medium and high heat. Preheat the griddle to 350 degrees Fahrenheit or place it on medium heat. 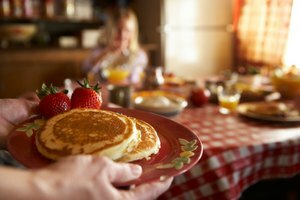 Griddles typically heat quickly and will reach the proper temperature while you're allowing the batter to rest for five minutes after mixing. An ideal batter is slightly and can be poured easily. If you don't have the batter in a container with a lip, use a ladle to put it on the griddle. You want for the pancakes to about 4-inches thick in diameter so pour a slightly smaller circle of batter to allow for expansion. 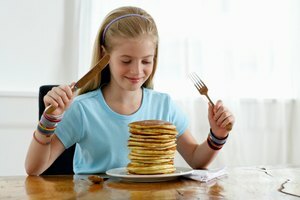 Place the pancakes at least 1 1/2 inches apart so you flip them without difficulty. If the batter is the correct consistency, small bubbles will form as the pancake begins to cook. The presence of these bubbles is a sign they're ready to be flipped. (If no holes form in three minutes, check under one corner of a pancake for a medium-brown color.) If it appears ready, flip each of them and cook approximately two more minutes until they are nicely browned underneath. 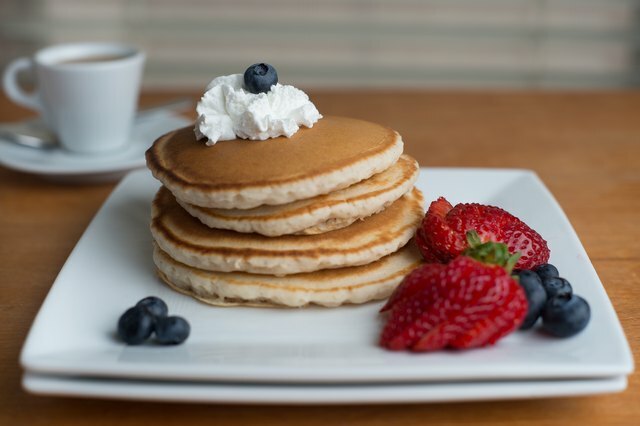 If things have gone well, you won't need to flip the pancakes again. However, it doesn't hurt the quality if you need to turn them once or twice more to achieve the doneness you desire. Remove the finished pancakes and serve immediately. If you need to make a second batch, allow the griddle to sit for at least 30 seconds before adding the next round of batter. 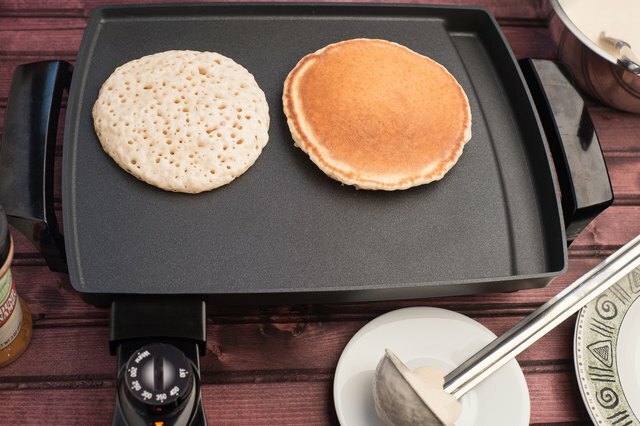 Some griddles get hotter the longer they are on, despite thermostatic control. 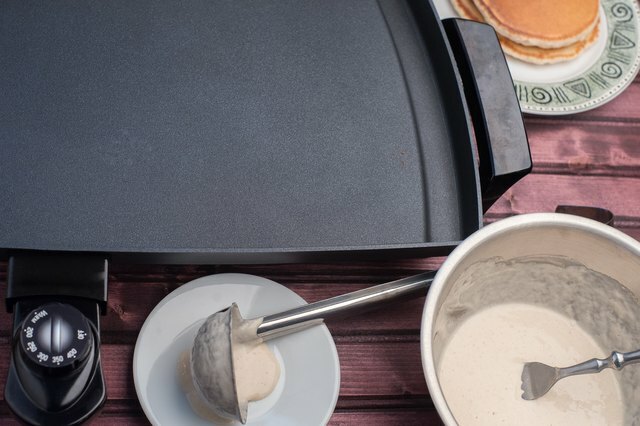 You may need to turn the heat down 25 degrees if the griddle has a thermostat, or flip and remove the pancakes a minute sooner if the griddle is set on "medium" heat. Some cooks prefer to add oil to the griddle and this can make for crunchier edges. To do this, pour 2 tablespoons in the middle of the griddle before preheating and spread it with a brush or white paper towel. 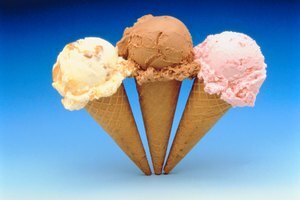 Vegetable, corn, and canola oil are good choices, but avoid butter because it burns easily. When adding ingredients to your batter, stir spices such as cinnamon into the batter during the initial mixing. Add small, solid ingredients such as crushed pecans after the batter has rested but before pouring. For ingredients the size of a fresh blueberry or larger, add them individually to each pancake immediately after pouring the batter onto the griddle.